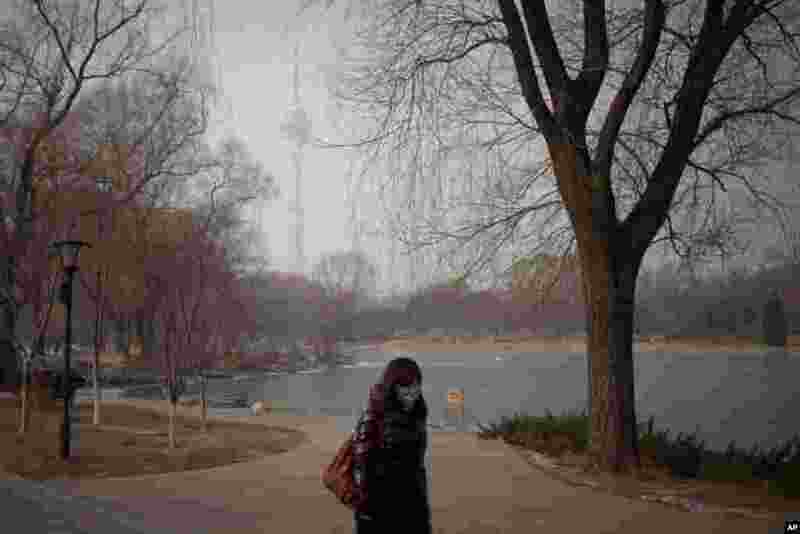 1 Beijing schools kept children indoors January 14, 2013, and hospitals saw a spike in respiratory cases following a weekend of excessive pollution in China's smoggy capital. 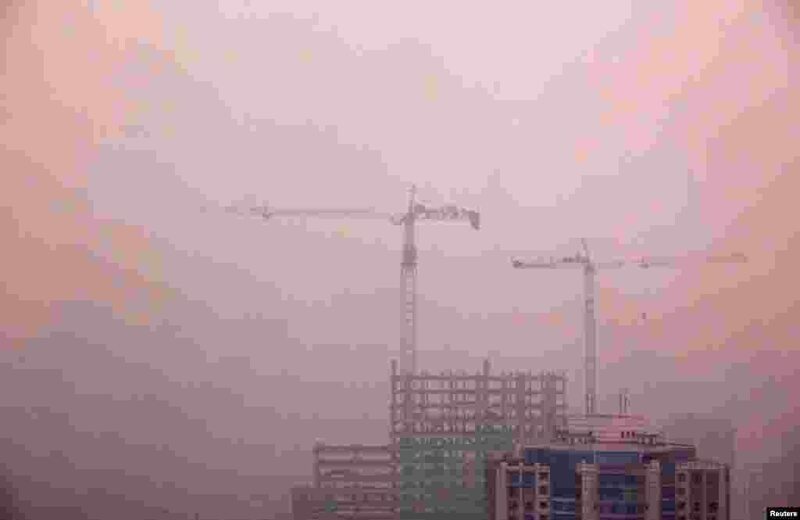 3 Cranes atop a residential building under construction in central Beijing, April 18, 2012. 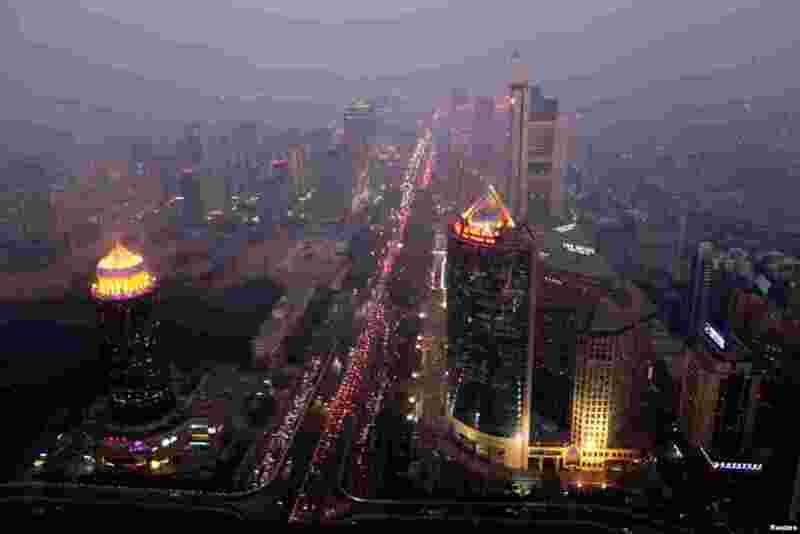 4 Buildings and the Guomao Bridge are pictured amid heavy haze and smog in Beijing, October 29, 2011. 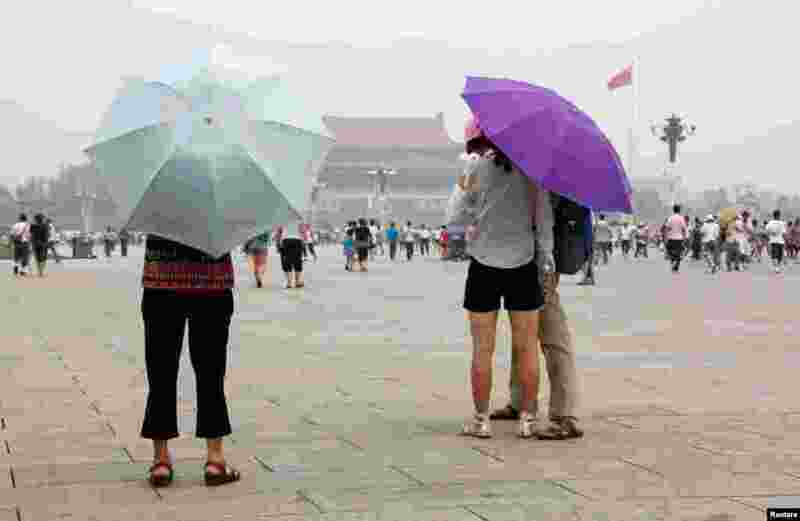 5 Visitors to Tiananmen Square shield themselves from the sun with umbrellas on a hot and hazy day, July 28, 2010. 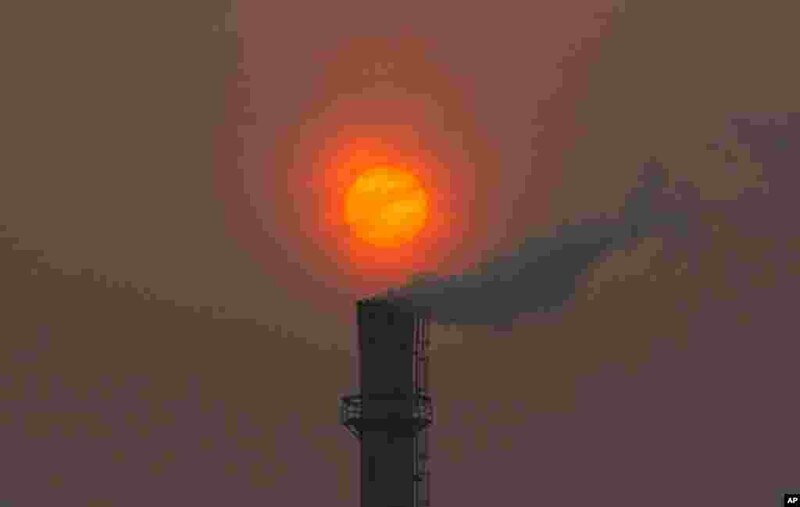 6 Smoke billows from a chimney of a heating plant in Beijing, February 13, 2012. 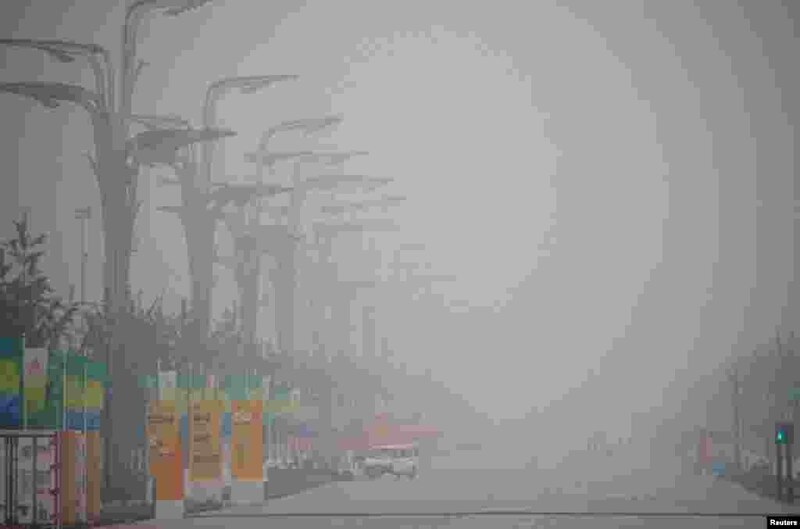 7 Haze blankets the National Stadium, also known as the Bird's Nest, as seen from inside the Olympic Green area during the Olympics, August 7, 2008. 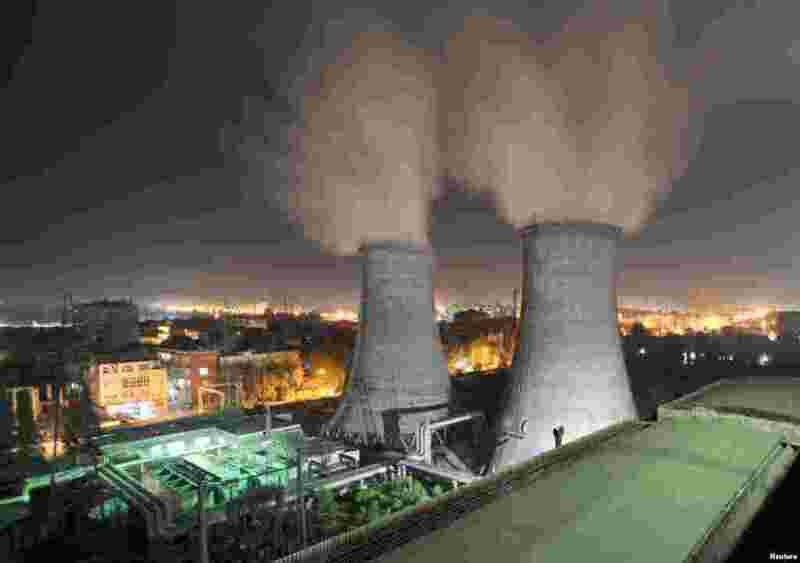 8 A coal-burning power station at night in Xiangfan, Hubei province, September 15, 2009. 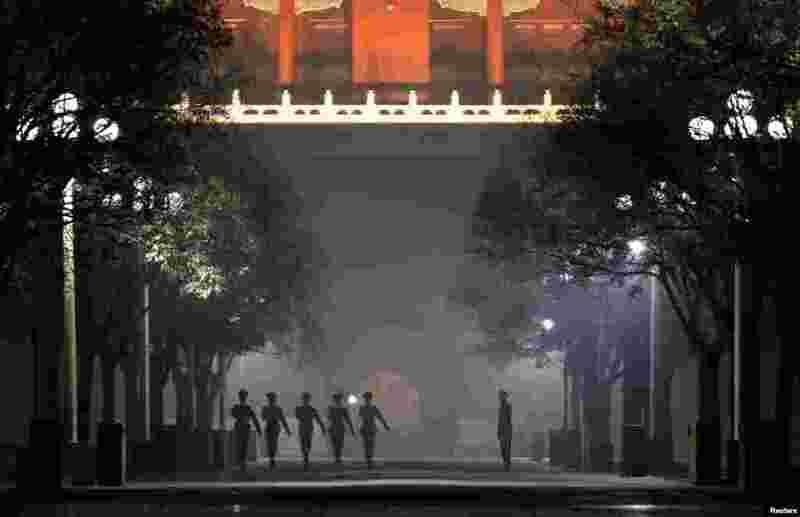 9 Paramilitary policemen practice drills inside the Forbidden City amid haze in central Beijing, December 4, 2011. 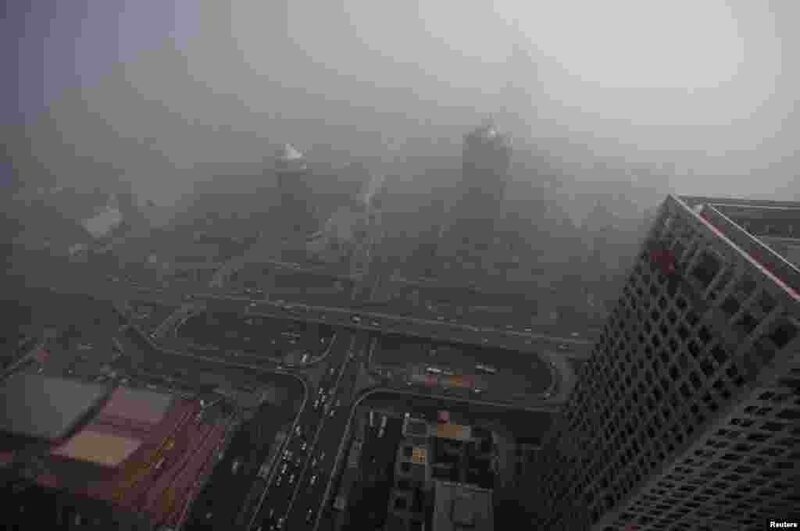 10 Buildings in Beijing are pictured on a day with heavy haze and smog, October 28, 2011.